Overview: A family is forced to live in silence while hiding from creatures that hunt by sound. There is much to like in this movie. It was a brave and original choice to explore horror in mainly silence with actors using their eyes and body language to convey the myriad of emotions that forces them to live in this manner in order to exist. The musical score helped bring the tension felt by the audience. The visual introduction of the monster towards the middle of the story was a good touch which kept viewers hanging in anticipation. Emily Blunt (the mother) was stellar and stole the show with her top notch performance that was so compelling. Her eyes were not only expressive but pulls you right into her character. Now the bad part. As much as I wanted to push this movie upward towards the stratosphere due to its “outside of the box” angle in the horror genre, when secrets are revealed with regards to the monsters’ fallibility and utter demise when equating how it wiped out most of the human population is completely ludicrous. I don’t want to list the obvious plot holes and weak writing that sets up the story as a whole but to accept that we, as a human race, was decimated mostly when the solution is rather elementary and easily carried out is down right stupid. I understand that it’s a movie and some liberties should be allowed but to have such a catastrophic dystopian start and then reveal later on that the monsters can be killed this way, or they can be distracted this way and so on and so forth is an insult to anyone above the age of 7. It’s infuriating that this is so and even more so how the adverts were saying this is the best horror film ever and garnered a 95% Rotten Tomato rating from critics. Really? It makes me question the validity of these systems and wonder where is the integrity? I love Emily Blunt and John Krasinski as actors and wish them well in all their current and future projects but this film, when rated as a whole is a big let down. If I was writing this screenplay I would advise that maybe they should have revealed that 2 types of monsters invaded and the first type (a more formidable one) that killed most of the human race were also killed completely and the second type of monster, that is featured in the movie, is the one left existing that the Abbott family is currently battling would have been more believable! One of the special features on the Blu-Ray release, they talk about how John Krasinski already had a list of who he wanted to play the rest of the cast. While I commend Krasinski for his obvious passion for this film, they really shouldn't have let him run so much on his own. Noah Jupe, who plays the oldest son, is great and I never had any complaints about him, the issue is with Millicent Simmonds. I understand Krasinski demanding that a deaf actress to play the deaf daughter, there is no other way to get that authenticity, but they really should have auditioned actresses instead of just letting John have his way. Millicent isn't terrible, but she is unconvincing and pretty blank in this film. I never questioned her begin deaf, but every emotion and action of hers was unconvincing. Her role certainly required a lot more range than Jupe's, who really only had to acted frightened the entire hour and a half (which I bought wholesale, I believed him 100%), but she just couldn't do it. Aside from that issue, A Quiet Place has a unique idea and does a great job of building a genuinely tense atmosphere, but that's about all that's unique. Beyond the sound element, everything else feels very cliche and unoriginal. It's a typical monster movie with a monster that looks and works exactly like a cross between the Clickers from The Last of Us and the Demogorgon from Stranger Things with B-movie CGI. There aren't any interesting twists in the story full of plot-holes or novel cinematography. A Quiet Place really can only rest on the one unique element of quiet being necessity. Obviously, there is very little dialog and score, but the score they do have sometimes makes it hard to determine if a sound if part of the music or part of the events in the world. 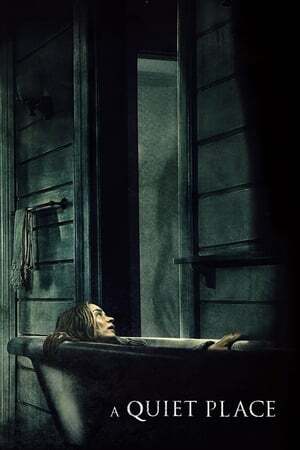 If A Quiet Place was given to a seasoned director or at least given Krasinski a co-director to keep him in check, this could have been a very good film, but they clearly let him wield too much power and he just didn't have the experience to be able to write, act, direct, and be the executive producer for A Quiet Place. I've seen that a sequel is on the books, so hopefully his can use this experience to make the next one better.